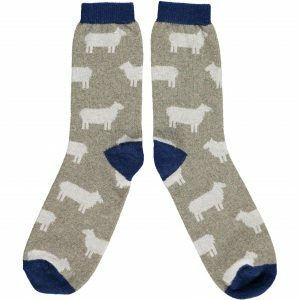 View cart “Lambswool Sage Sheep Ankle Socks (UK 8-11)” has been added to your cart. Category: Christmas, Handmade Sheep, Woollen Favourites. Tags: mary kilvert, Woolly Sheep, Felting, snowflake. This sheep’s name is ‘Baartholomew’. 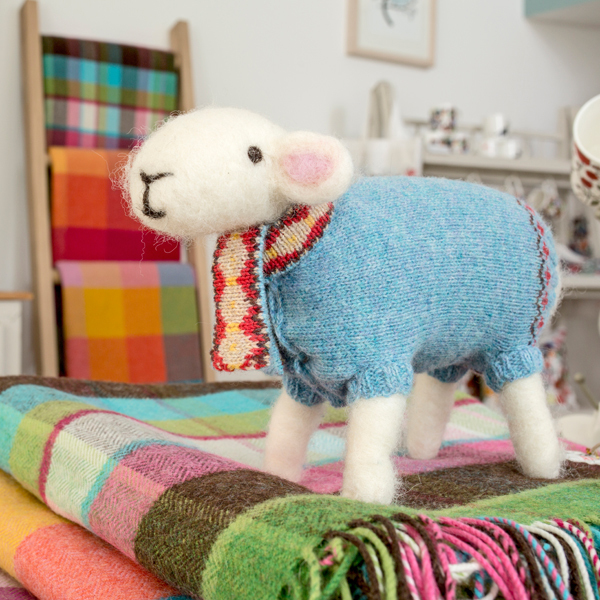 Baartholomew sports a beautiful sky blue jumper with a cosy warm scarf. Lovingly handmade using organic wool from a flock of Welsh Lleyn Sheep that live on a farm in Herefordshire through the process of dry needle felting. The wool that is made to knit the bespoke jumpers comes from a mill in Scotland. Measuring approximately 42cm long and 34cm high and comes in a gift box with a certificate of Authenticity. 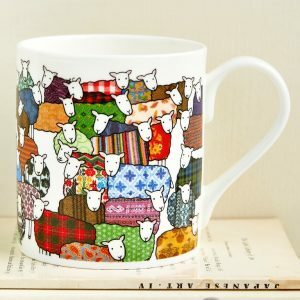 These sheep are made to order and can take time. They should take 3-4 weeks, please email for a more accurate date. 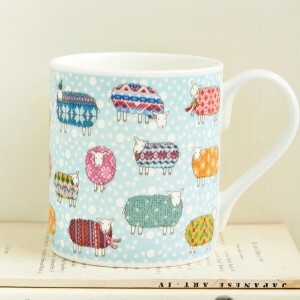 We have a limited number of sheep available. 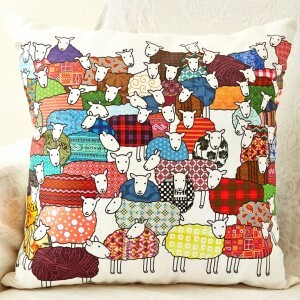 As the sheep are made by hand, no two sheep will be exactly the same and may vary slightly.